A concrete slab scan is a vital tool for contractors working on a home building site. This is because it assists them with finding and avoiding possible problem areas that could cause project delays, or even cancellations. Also referred to as GPR (ground penetrating radar), this slab scanning technology utilizes a radar that emits rapid blasts of radio waves, to discover if there are any issues with the scanned concrete. 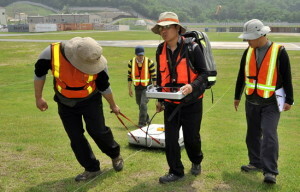 GPR can assess soil composition in the area where the building is to be erected. This is to ensure structural integrity. Also, this will stop any future problems, like the footings quickly sinking, if the ground is not firm enough to hold the weight. However, GPR engineering will not be as effective on certain ground types, like wet clay that has received a lot of salt contamination. A big danger faced by home building site contractors is the risk of accidentally digging straight into an underground power line. This could cause some very expensive damage. GPR allows users to find the areas where electricity power lines are situated, so it is easy to avoid them. 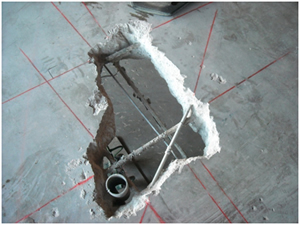 It is difficult to detect leakages in pipes that run beneath cement slabs, without actually digging up the slabs. With GPR, you are able to discover whether there are leakages and particularly, where they are, so plumbers can excavate in the right place. Leaks that are not stopped can lead to higher water bills and severe property damage. Prior to concrete scanning on a building site, all the rubble should be removed from the area being scanned, because this might cause radar interference and distort the results. Find other places to scan, if the first location turns out to be unfit for the desired purpose. Before the scan, ensure that you have dry ground, because fluid can reflect the signals from the radar, which may produce unreliable results. Finally, if you utilize GPR to locate underground non-metallic conduits, you should activate all circuits, because it is easier to locate high voltage conduits compared to low voltage ones.